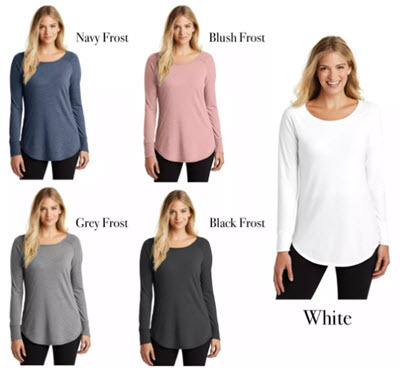 Jane has these beautiful long sleeve tunics marked down from $24.99 to $14.99 today. Plus, you get free shipping! They come navy, blush, grey, black, and white. Perfect for mixing and matching with capris now and jeans in the winter.